While everyone slept in Montgomery County last night the rains north of us never let up. 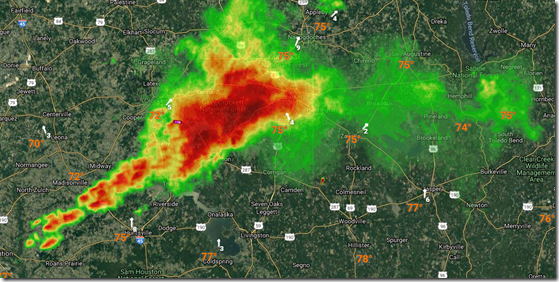 The cell you see above is the current position at 520am this morning. At 9pm last night it stretched from College Station to Huntsville.The intensity has not let up with several places north such as Bedias with 9” of rain many other the same. 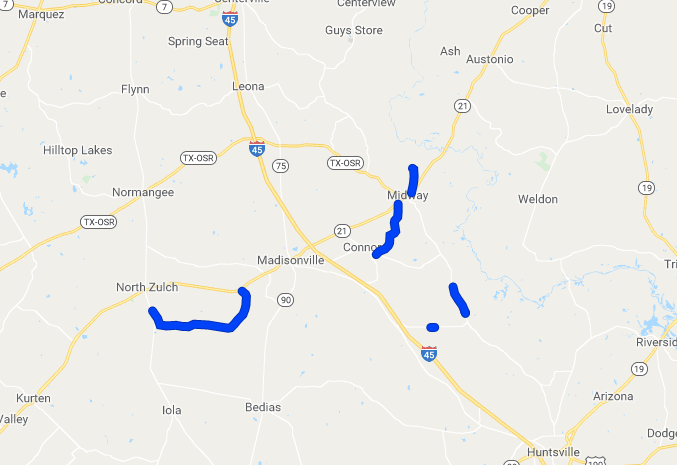 Grimes, Walker, Houston, Madison and Brazos County are all reporting road closures. We have many if you scroll back through the stories last night. In Madison County the creek at Madisonville has reached bank full and low lying areas are flooding. 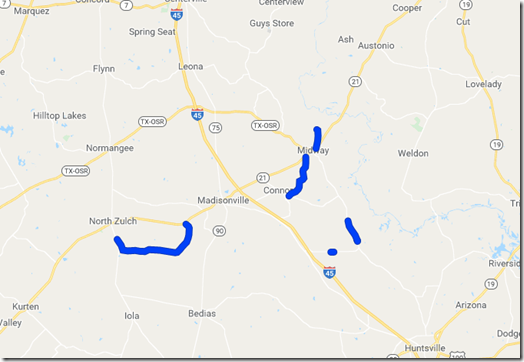 Northern Grimes County has several major roads closed and Bryan /College Station are experiencing road closures. At 530 am the rain is still over Lovelady and moving very slowly to the east. Before you leave it might be a good idea to check road conditions.